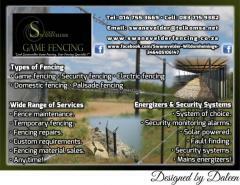 * Electrical Fencing - We have the technical knowledge of the erection of sophisticated barrier systems. 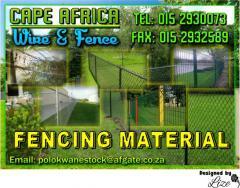 * Agricultural Fencing - Including camps/pens for domestic animals, cattle, sheep & ostrich. * Big Game Camps - Including lion & buffalo camps. 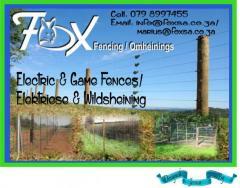 * Wire Mesh Fencing for bush pigs & jackals. 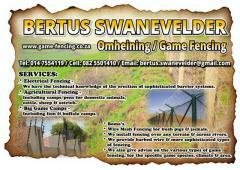 * We install fencing over any terrain & across rivers. * We provide barbed wire & more sophisticated types of fencing. 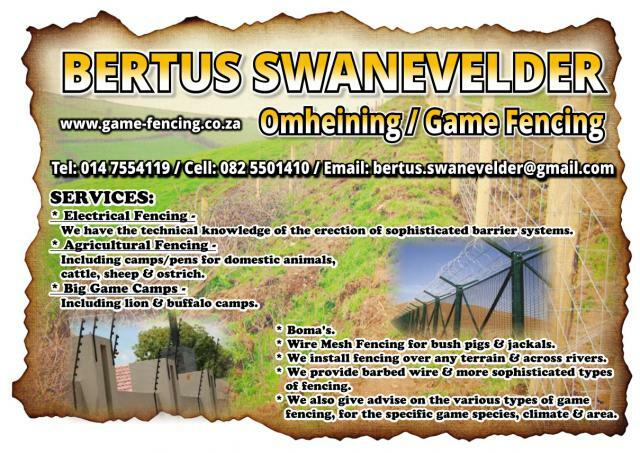 * We also give advise on the various types of game fencing, for the specific game species, climate & area.